I will be arriving back at Terminal 4 (Sept.16) I have not started my trip yet. 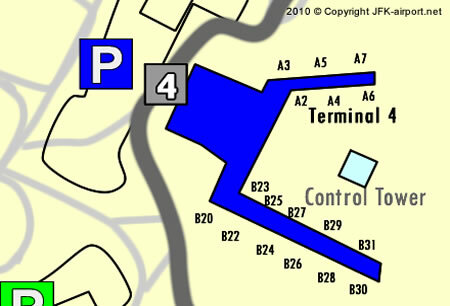 can I pull my car up infront of terminal 4 in order to pick up a passenger? It's my first time in NY , i live in NJ , i want to know how long take the innmigration service for the people that first time come to Usa. He come with resident visa ( lottery visa or diversity visa), thanks by your answer. We will be flying to Italy from FJK. How early should we be there to check in?